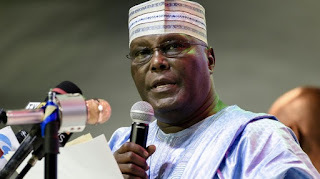 The Presidential candidate of the Peoples Democratic Party, Alhaji Atiku Abubakar has withdrawn from the presidential debates scheduled to hold today, NewzEMPIRE has learnt. NewzEMPIRE gathered that this because President Muhammad Buhari is staying away from the debate tonight. 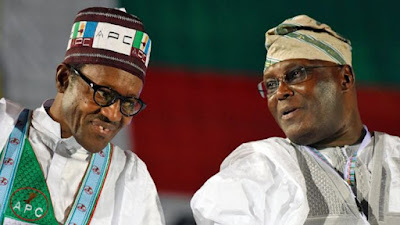 NewzEMPIRE recalls that Itse Sagay, the chairman of the Presidential Advisory Committee Against Corruption had earlier attacked Atiku Abubakar verbally. Mr Sagay had in an interview with journalists described other presidential candidates, who are expected to feature in the debate alongside President Muhammadu Buhari, as ‘political dwarfs’. The law professor said the president is far ahead of all other candidates and doesn’t need to debate his opponents because by doing so he is making them relevance. “He (Buhari) has nothing to gain by debate. If he goes to debate, he is just going to help people who have no hope, and I call them, Buhari and the political dwarfs; he is only going to give relevance to the political dwarfs; he is already far ahead of all of them,” Sagay said. When told that the president’s failure to attend might mean he has nothing to say, the learned silk disagreed. “He doesn’t want to go there and make them taller than they are; so, let them remain like that – political dwarfs. In four weeks time, we will know them,” he added. Stating why he is staying away from the debate, the former vice president said it’s because the president is staying away. The PDP flag-bearer stated this in a statement by Kassim Afegbua, spokesman of the Atiku Campaign Organisation. “When you realised that a supposed law professor like Itse Sagay now talks with tongue in cheek, you easily know that societal values and morality have become debased,” Afegbua said. “Itse Sagay has not only become a turncoat academic but one whose sight invokes pity, sympathy and empathy. How can APC presidential candidate who has been fighting “battles” with his WASC consider others who are duly qualified and well read as dwarfs? Does it not suggest that something is amiss somewhere? “Who is actually a dwarf here? Is it a presidential candidate running away from debate or one who is challenging the other to a debate? Didn’t you see them packaging a phoney debate for him where he would have studied the questions and answers and regurgitate them to the best of what would have been prepared for him? “If the APC presidential candidate is not presenting himself for debate, we will not allow our presidential candidate to attend any debate. But if APC candidate is ready to engage our candidate, he is ready and prepared for him,” he said. The debate expected to hold Saturday evening will feature five presidential candidates which includes: Mr Buhari – All Progressive Congress (APC), Atiku – Peoples Democratic Party (PDP) Oby Ezekwesili – Allied Congress Party of Nigeria (ACPN), Fela Durotoye – Alliance for New Nigeria (ANN) and Kingsley Moghalu – Young Progressives Party (YPP). Hmm! What do you think?